Things are on the move again. There’s a buzz in the air. W M Nixon anticipates the sailing possibilities for 2016 in a fixtures list so diverse that he reckons that anyone who thinks they know everything that’s going on clearly doesn’t. If you want anything done, then ask a busy man to do it. And the busier people are ashore, the keener they are to get afloat when they can. There was nothing more sluggish than the sailing and boating scene during the recession years. There was less zest for going sailing when you’d all the time in the world to do it because there was nothing to do ashore. And anyway, as a vehicle sport, sailing was a very identifiable expense which could be reduced or even discarded as the recession rumbled on. Of course, it wasn’t as simple as that. Anyone with businesses to run knew they’d to keep a very close eye on things all the time if they were to survive at all. 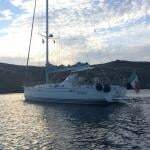 Thus we became experts at the short sailing break. The four day regatta became all the rage, and even if the good times roll again as never before, it seems likely the four day regatta is going to stay popular. It’s indicative of amazingly changed times. Today, it’s beyond imagination to realise that at the height of Scotland’s industrial pomp around Glasgow for eighty years into the 1960s, there used to be a Clyde Fortnight. Two whole weeks of sailing on the trot. Except for Sundays of course, when the church services became yachting events. But even with that spiritual input, it was conspicuous consumption gone mad to be able to show you’d the resources and free time to go off yacht racing for a clear fortnight, knowing your employees – or rather, your inherited company’s employees – would keep those profits and dividends rolling in while you swanned about on the bonnie waters of the Firth. “A boat, by God, it’s just a gleamin’ beautiful creation. And when you pull the sail up on a boat, you’ve got a little bit of really somethin’ God-given. Man, it goes bleetin’ off like a bird’s wing, you know, and there’s nothin’ else like it”. It’s still as simple as that. So apart from the usual frostbite races and leagues, it’s more than appropriate that the first major sailing event in Ireland in 2016 is the legendary Optimist Training Week at Baltimore during the half term break in February. Yes folks, February. For sure, we know that in the old Irish calendar, February 1st is St Brigid’s Day, and officially the first day of Spring. But for many sailors, St Patrick’s Day on March 17th is about as early as we want to get. And for most of us, Easter is quite soon enough, thank you. Nevertheless we salute the keen Opty kids who in February drag their families along with them down to Baltimore – even unto the family dog – in a caravanserai which tells us much about Irish sailing. But what we also know is that Irish sailing is universal, and from times past we’re well aware that our new season is reckoned to start with the Rolex Sydney-Hobart Race on December 26th in the dying days of the old year. So the up-coming dash to Hobart is when our new year begins, and back in December 2012 when Gordon Maguire won it overall - his second overall win in this great Australian annual classic - he was undisputed Afloat.ie “Sailor of the Month” for January 2013. As we’re on the cruiser-racer theme, we’ll stay with it for now through to the August fixtures, and anyone totally into dinghies and nothing else is invited to scroll down a dozen paragraphs to where we emerge from the world of truck-racing for a consideration of the Olympics, the inshore racing classes, and the dinghies. But for now staying with cruiser-racers, in recent months Gordon Maguire has been making the Mediterranean scene with success aboard the Mark Mills-designed Max 72 Caol Ila (ex-Alegre), but as the Australian season currently swings back into top gear, he’s in the Matt Allen camp aboard the Carkeek 60 Ichi Ban. However, another Irish line of interest continues with Wicklow-based designer Mark Mills, whose newest 45ft footer Concubine – fresh built in Dubai – is going to an Adelaide owner who will have her at optimum trim for her first big outing in the Hobart race. Meanwhile, notwithstanding the Optimists gearing up for their February Sailfest in Baltimore, things at home really start on Friday February 4th when the Irish sailing focus closes in on the august yet friendly premises of the Royal College of Surgeons on Stephens Green in the heart of Dublin for the annual ISA/Afloat.ie National Sailing Awards. Sailors of the Month, Sailor of the Year, Mitsubishi Motors Club of the Year and many other well-earned awards will be swept through in a festival of mutual congratulation and camaraderie which perfectly captures the spirit of a sport which has a longer history in Ireland than anywhere else. Can they do it again? The Royal Cork Yacht Club – with Marine Minister Simon Coveney – at the ISA/Afloat.ie Sailing Awards 2014 ceremony in the RCSI in Dublin on Friday 6th March 2015, when they swept the board and took the Mitsubishi Motors “Club of the Year” award for good measure. The 2015 awards will be presented at the same venue on Friday, February 4th 2016. University sailing also comes top of the bill in the Springtime, with the Irish championship seeing titleholders UCD defend a position which also saw them representing Ireland at the Student Yachting Worlds in France in October, when they placed third overall. It sounds reasonable enough, but Ireland has won the Worlds a couple of times in the recent past, so there’s work to be done here. Another area where work is being done is in the growing interest for Under 25 Squads in doing great things with revitalised J/24s. Cillian Dickson of Howth led his Under 25 group to success both in J/24 and open racing in 2015 with the J/24 Kilcullen, and the word is that 2016 will see at least three similar teams making the scene at national and local events. But for boats with a lid, the top item on the agenda has to be the fact that this is a biennial Commodores’ Cup year, and we’re the defenders. In 2014, thanks to the single-minded determination of Anthony O’Leary, a competitive three boat team was somehow assembled from some very disparate parts, and the title - won in 2010 but undefended in 2012 in the depths of the recession - was re-taken in very positive style after a week of ferocious racing in late July in the Solent. Ireland nicely placed at the start of the Round the Island Race in the Commodore’s Cup 2014, with two British boats neatly sandwiched between Catapult (red hull) and Antix (silver hull). Catapult is now Antix, while the former Antix has been sold to Sweden. The RORC Brewin Dolphin Commodore’s Cup 2016 will be raced from Cowes from 23rd to 30th July 2016, and far from having to scrape around to assemble a team, the word is that ICRA may be mounting a two team defence/challenge on our behalf, as the RORC event has seen the rating band lowered to 1,000 to make it attractive to boats like J/109s. These super boats are finally taking off in Ireland as a premier class. It has taken some time, but as we’ve been saying for years, the J/109 might have been designed with the Irish context in mind, and they’re going to be a major part of our sailing for many years to come. They might have been designed precisely with Irish requirements in mind…….the J/109 class is finally beginning to take off at all main centres. Through the season, cruiser-racer events swing into action at every level, both at home and nearby abroad, with the RORC Easter Challenge in the Solent (Antix defending for Ireland here), the Silver’s Marine Scottish Series at Tarbert from May 27-30 (Rob McConnell’s A35 Fool’s Gold from Dunmore East is the defender) and then the big home one, the ICRA Nats at Howth from June 10th to 12th, staged just a week after Howth’s at-home major, the Lambay Races on June 4th. Meanwhile the re-vitalised ISORA programme (defending champion is Shanahan family’s J/109 Ruth from the National YC) will have swung into action in the Irish Sea with a stated commitment to impinge adversely as little as possible – if at all – on long-established events, but for serious old salts the real story in June will be the countdown to the Volvo Round Ireland Race from Wicklow on Saturday June 18th. Volvo Cars Ireland are in for the long haul on this one. So their first outing with the classic biennial circuit will be run fairly conservatively in the knowledge that legislation is going through the Dail to re-organise the administration of Wicklow Harbour (among other ports). Thus it’s on the cards that in the future, Wicklow Sailing Club and their supportive new sponsor will find they have a harbour much-improved to host visiting boats. But for 2016, the Royal Irish YC in Dun Laoghaire will be providing support berths for larger craft, as too will Greystones Marina in between. International participation in the biennial Round Ireland Race – Piet Vroon’s famous Ker 46 Tonnere de Breskens making away from the Wicklow starting line on a perect summer’s day. In 2016, Volvo Cars Ireland will be starting a longterm sponsorship of the race. But even with the current facilities, it’s going to be quite a happening with serious multi-hulls involved for the first time, and Grand Prix racers of the calibre of George David’s Rambler 88 stepping up to the plate, while in the body of the fleet the Shanahan’s Ruth has unfinished business – in 2014 they missed the win by seven minutes to Richard Harris’s Tanit from Scotland. Until this late-June stage of the season, the south coast will have been fairly quiet in terms of events with an international flavour, but all that changes between 10th and 15th July when the Royal Cork’s Volvo Cork Week swings into action with the added interest (to put it mildly) of the IRC European Championship. 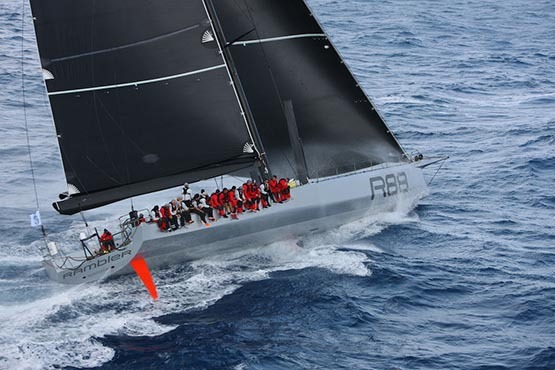 This completely new event – a joint venture between the RORC and the RCYC – is still at the developmental stage, but with some far-thinking organisers behind it such as Anthony O’Leary of Royal Cork and Michael Boyd of RORC, it has all the makings of something very special indeed, and will blend in well with July’s expanding European programme as teams work on their performance with the Commodores’ Cup at the end of July providing the Grand Finale. But of course not everyone seeks the international limelight. There are plenty of local events to keep cruiser-racers busy, and the WIORA Championship 2016 will be from June 29th to July 02nd, hosted by the very venerable Royal Western of Ireland Yacht at Kilrush, which is itself a place re-born since the marina and harbour were taken over by leading harbour engineers L & M Keating. Inevitably with the August Bank Holiday Monday being precisely on August 1st, traditional events in 2016 will find themselves being compressed into that first week of August, but if you were really keen it might be just be possible to finish the WIORA at Kilrush and then hare round to Schull for Calves Week from Tuesday August 2nd to Friday August 5th, but there are probably too many temptations on the way as you progress along Ireland’s top cruising coast. However, if you’re not into total relax mode by the time August arrives, then there’s the Olympics in Rio to gather you up in its crazy five ring circus with the sailing events in a continuous tapestry from 5th August 21st August. The Irish challenge for the 2016 Olympiad is still in something of a state of flux as three places have been secured with other possibilities, but the whole thing is total melting-pot stuff, so it’s too early yet to make predictions. But you don’t have to look to Rio for stellar performance in 2016 as we’ve top level dinghy racing coming to Ireland with the Laser Radial Youth World Championship being hosted in a joint venture by Dun Laoghaire Harbour and the Royal St George YC from Saturday July 23rd to Saturday July 30th, yet another event which has relevance in a different context as the administration of Dun Laoghaire Harbour could well be in a new context in the near future. Any overview of the dinghy and inshore keelboat scene soon reminds you of the exasperation some observers feel at a global sport which boasts something like 143 recognised World Championships in its annual international programme. And that’s only counting World Championships. Add in Europeans, and numbers increase exponentially, but we have a Europeans in Ireland in 2016 with the Mirrors gathering from 7th to 12th August for racing with one of the most interesting little boats afloat at the RCYC in Crosshaven. 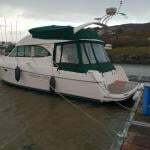 For their owners, all boats are interesting - that’s the way it is with boats. Indeed, for many participants, it’s not so much the sport as the vehicles themselves which are the raison d’etre of the whole business. And thus we find that in Ireland as elsewhere, traditional, classic and vintage boats are moving ever higher up the agenda with each season’s programme-making. It could be argued that there’s nowhere better in the world to find such intriguing and individual boats playing an accepted and natural role in the sailing scene than in the Greater Dublin region. 2016 may also be witnessing the centenary of the Easter Rising and the Irish Revolution. But despite the turmoil of a hundred years ago, we’re basically a very settled and civilised society, and when we find a boat type we like, we tend to stay with her. And equally as a reasonable society we will happily accept the restrictions of one design racing in order to provide affordable sport. Thus around Dublin we can find the Water Wags whose class organisation dates back to 1886, even if the boats themselves are the new-fangled version from around 1902 or thereabouts. Equally part of the scene are the Howth 17s, undiluted since 1898. And even boats which we think of as new – such as the International Dragons – are now vintage and some of their best racing in 2016 will be in Glandore where the presiding genius is Don Street and Gypsy, numbering 167 years between them, though it’s rude to ask which way the division falls. Part of the traditional and classic boat scene in Dublin is the annual Leinster Trophy Race of the Dublin Bay Old Gaffers Association at the June Bank Holiday, and newly-elected DBOGA President denis Aylmer with his Cornish Crabber Mona is defending champion. But this year the classic focus shifts to Belfast Lough at the end of June, as both Carrickfergus Sailing Club and Royal Ulster Yacht Club are celebrating their 150th Anniveraries. They’ll have many separate events, but as Carrickfergus was also the location of the famous Hilditch boat-building yard where many famous wooden one designs were built between 1892 and 1914, there’ll be a Hilditch Regatta at Carrickfergus morphing into a RUYC Classic Yacht Festival across Belfast Lough at Bangor between Wednesday June 22nd and Monday June 27th, with vintage fleets eligible including Strangford Lough Rivers, the Glens, Howth 17s, Belfast Lough Waverleys, Ballyholme Bays and indeed any classics willing to travel such as Water Wags and vintage Dragons. There may even be an appearance by two of the Hilditch daddies of them all, the Fife-designed Belfast Lough Class I 25ft LWL OD Tern of 1897 vintage which has re-emerged in the Mediterranean so effectively restored that she won her class at Les Voiles de St Tropez in September 2015, and the Mylne-designed 39ft LOA Island Class yawl Trasnagh, built in 1913 to join her sisters at Cultra anchorage to make up a fleet of the worlds first true cruiser-racer one designs. At the other end of the size scale, one of the best new events of 2015 was the Dinghyfest at Royal Cork in August, which was such a success straight out of the box that they’re going to run it again in 2016 on much the same format, and the word is that classes are already queuing to take part in something which could well be a very welcome distraction from Olympic angst.